In today’s fight game, it seems as if ‘money fights’ are all the rage rather than fights that make the most sense from a rankings standpoint. After all, UFC featherweight champion Conor McGregor will challenge lightweight king Eddie Alvarez at November 12’s UFC 205 despite having not defended his title since he won it last December and having instead taken two fights at welterweight in the meantime. 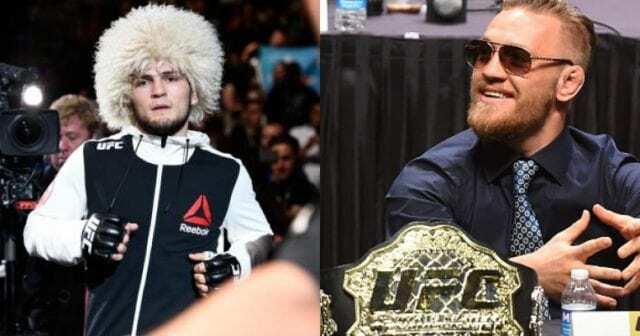 Undefeated contender Khabib Nurmagomedov, a man who’s undoubtedly deserving of a shot at 155-pound gold, was passed over for the title shot given McGregor’s incredible star power. “I care about the belt,” Nurmagomedov said.“I want to finish this fight and fight for the title. I don’t care who has the title, who wins (between Alvarez and McGregor). I don’t care about money. Do you expect Nurmagomedov to get by Johnson, and if he does, will he finally receive his long awaited title shot?